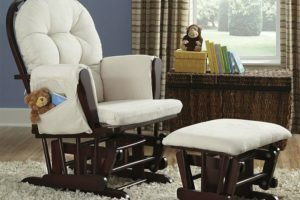 When it comes time to equip your nursery, you might be struggling with the decision of whether to get a humidifier or a vaporizer. Both of these devices work in very different ways, and it’s important to know the differences before you make a decision on either a humidifier or a vaporizer. The main difference is that a vaporizer heats the water until it becomes a hot steam, and a humidifier uses fans to create a cool mist. There are, however, humidifiers that use heat to generate the mist, but we don’t generally recommend those for nurseries. Vaporizers use intense heat to turn water into vapor. Since the heat is so high, the risk of mold growing inside the vaporizer is lower than in a warm-mist humidifier, it can still happen. The only real benefit of vaporizers is that you can get away with using tap water (usually) without having to boil it first. Because the heat is so high, it should kill any kind of germs or bacteria that were in the water to begin with. The big reason why vaporizers aren’t generally recommended for baby nurseries is that they post a high risk of burns. While you will probably have it out of reach of your baby, the risk is always there. Most experts would never recommend either a vaporizer or a warm-mist humidifier for this reason. 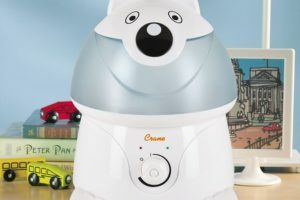 If you have one already, you could get away with it if you’re very careful, but it would still be a much better idea to get a good cool-mist humidifier instead. Humidifiers do the same thing as vaporizers, but in a different way. Some do use heat to disperse the water as steam in the air, but for the most part, they use fans to create a cool mist. 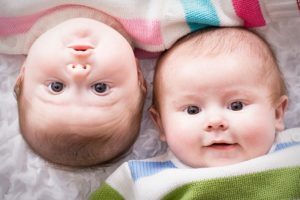 Cool-mist humidifiers are usually the recommended solution for baby nurseries, especially because there is no risk of burns when using them. Since they don’t use heat, they’re also less expensive to run than vaporizers are. If you’re thinking about the temperature of the mist, think about this: by the time it reaches your baby, it’s going to be the same temperature anyway, so there’s no benefit in the vaporizer when it comes to this. The main disadvantage to humidifiers is that they have to be closely looked after and cleaned to avoid any problems. 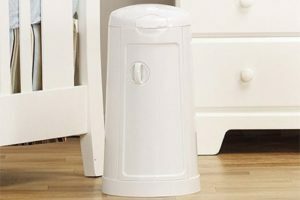 If your humidifier has a filter, be sure to clean it or replace it regularly. Even if it doesn’t, you have to clean out the tank and the inner part on a regular basis; damp areas are a breeding ground for mold and bacteria! There’s no way we could recommend a vaporizer over a humidifier for your baby nursery. They both fill the same purpose, but the burn risks associated with vaporizers are too much for it to be worth it. Coupled with the extra cost associated with running a vaporizer, humidifiers just win. If you want to get a good humidifier, be sure to read our helpful guide on selecting the best for your nursery!